Filming vehicle number plates during the day is relatively simple, just make sure the camera has a suitable lens so you fill enough of the screen to be able to read the number. The problem comes at night when the reflective nature of UK number plates means they tend to bleach out. Car headlights can also cause the camera to go into daytime mode causing blurred images as the vehicle moves. We have developed a number of solutions over the years, this is our third generation of ANPR camera and features a number of significant improvements. 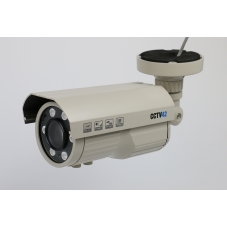 It also works in HD 1080P HD-TVI which gives an effective range of up to 75 meters. GDPR compliance is made easier because the plates are recorded on the DVR as normal footage which automatically over writes when the hard drive fills as per GDPR requirements.